The history of tiles as floor coverings is as old as the high civilizations in Europe, Asia and North Africa. Whether in ancient Egypt, in Babylonia, Greece or Rome, everywhere stone tiles were used as flooring. What do present times have in common with those ancient times? Nowadays, the stone tile has been rediscovered as a floor covering. Gone are the days when tiles made of porcelain stoneware were considered the perfect flooring. For a long time people were under the misconception that natural stone floor tiles would be more sensitive, or so expensive that only a small part of society could afford them. What exactly is it that makes floor tiles made of natural stone so special? Moreover, where is the supposed advantage to tiles made of porcelain stoneware? First of all, it is important to notice that floor tiles made of natural stone are a 100 % natural building material. Each individual natural stone tile has grown over centuries, even millennia, in the respective quarry. The grain, colour and pattern of each tile are absolutely unique. No assembly-line production, no ever-repeating pattern, but individuality through and through. Furthermore, the variety of colors with which nature endowed lovers of natural tiles is overwhelming. From warm earthy tones to black or white natural stones to dark red, you will find a variety of colours and tones enabling an individual interior design. In addition, floor tiles made of natural stone are more breathable and thus, ensure a more pleasant indoor climate than tiles from porcelain stoneware. 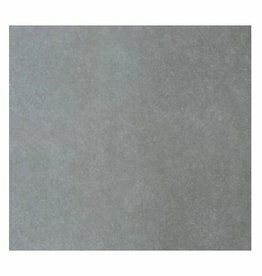 If you take the time to get informed about the necessary care of the natural stone you have selected, there will be hardly anything easier to care for than a floor tile made of natural stone. Importantly, natural stone always has to be impregnated first. You can do this by yourself; it is basically like a thorough cleaning of the natural stone floor tiles. These need to be treated generously with the impregnating agent. After this, care with the right care products is a breeze. At this point at the latest Ninos Naturstein & Fliesen joins in. As a direct distributor of natural stone, we buy our goods directly from the manufacturer. We perform quality controls on site in the quarries and thus, can always guarantee an excellent quality of our products. We have contacts and business partners in all major mining regions of the world, for instance in China, India and Spain. Due to our large stocks and excellent contacts in this industry, we are able to handle also unusual requests such as special cuts or unusual colourations. And the good thing about it: all this at incredibly low prices. Come and get an idea of our wide selection of floor tiles made of natural stone, and convince yourself of our perfect value-for-money ratio. We from Ninos Naturstein & Fliesen are happy to help you!